Keeping with the holiday spirit we wanted to share with you a gem from our archives. 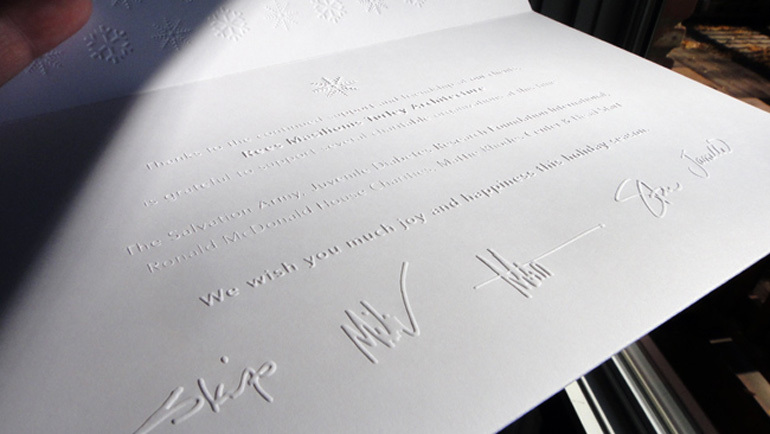 We love the blind emboss. (There, I said it. We do.) 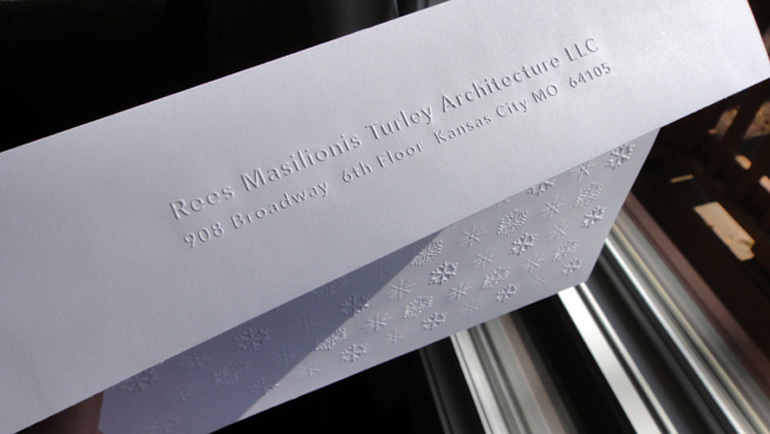 This holiday card for Rees Masilionis Turley combines the blind emboss greeting card with a matching envelope and a “Giving Card” donation credit for their clients.